Strong Man products are notorious for their safety features, keeping surroundings safe from falling debris—so our brand new Cargo Lifting Net is no exception. We know that catching heavy debris is crucial to the wellbeing of your jobsite…but so is easily and efficiently loading jobsite material. Rely on a Strong Man Cargo Lifting Net and let us do the heavy lifting. Our strong products are backed by even stronger results. 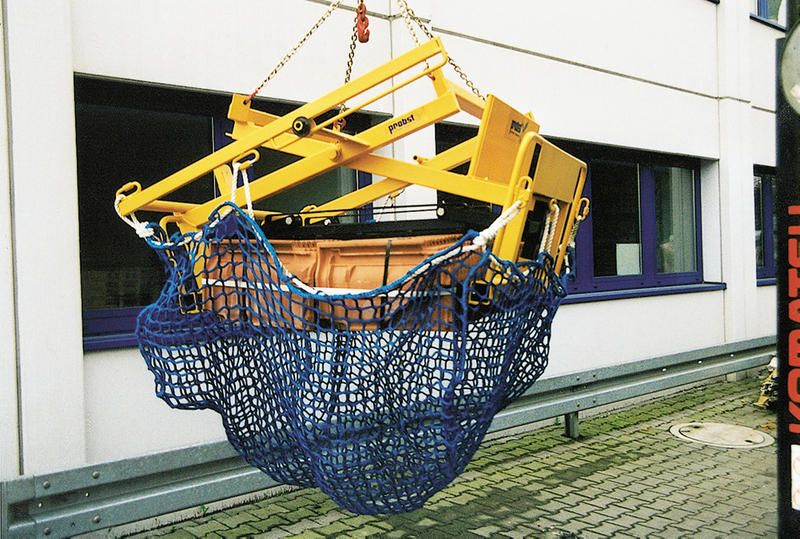 The Cargo Lifting Net is a safe and cost-effective way to lift just about anything. From Point A to Point B, we’ll make sure your jobsite material makes a safe trip. These lifting nets use a lifting method that draws net corners to a gathered point above its load, making that trip as secure and balanced as possible. Our nets are durable and have enhanced strength that surpasses conventional web nets, holding up to two-or-three tons, depending on the model. The Cargo Lifting Net is made from high tenacity polyprophylene (HPPT) knotless netting with square mesh—it’s what puts the strong in Strong Man. There’s also a nylon perimeter rope, stable four-point load support, four lifting loops per net, and it’s highly resistant to abrasion. These nets are safe to use both indoors and outdoors, as they are chemical and moisture resistant, and they’re lightweight, helping you stay on the job with ease. Take the worry out of lifting a variety of jobsite materials by using Strong Man Cargo Lifting Nets. Our first priority is keeping you safe, whether it involves lifting, catching or covering. Let Strong Man lift your spirits…and your heaviest supplies. Safety First. Go Strong.